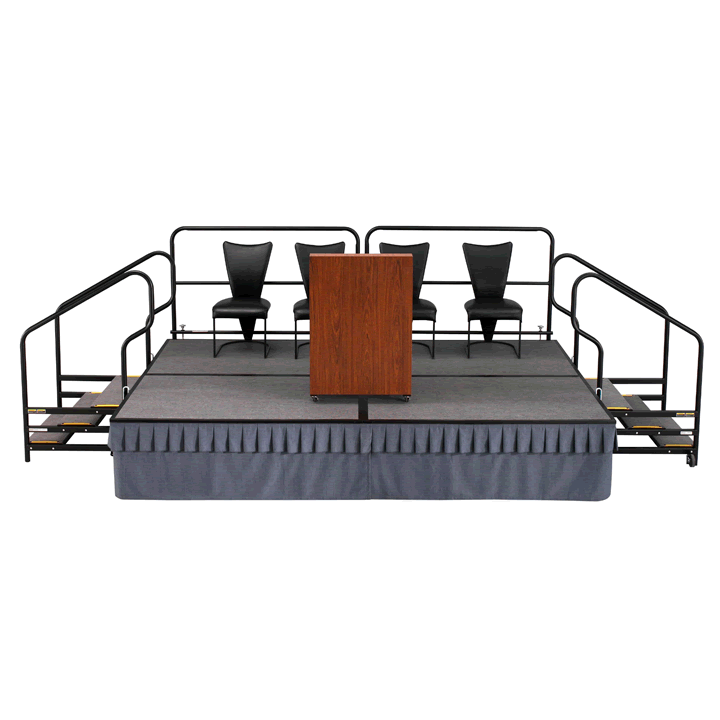 The SICO® 1800 Series Portable Stage system offers all the advantages of a mobile folding stage in a convenient dual-height model — along with the simplicity of built-in height adjustability. 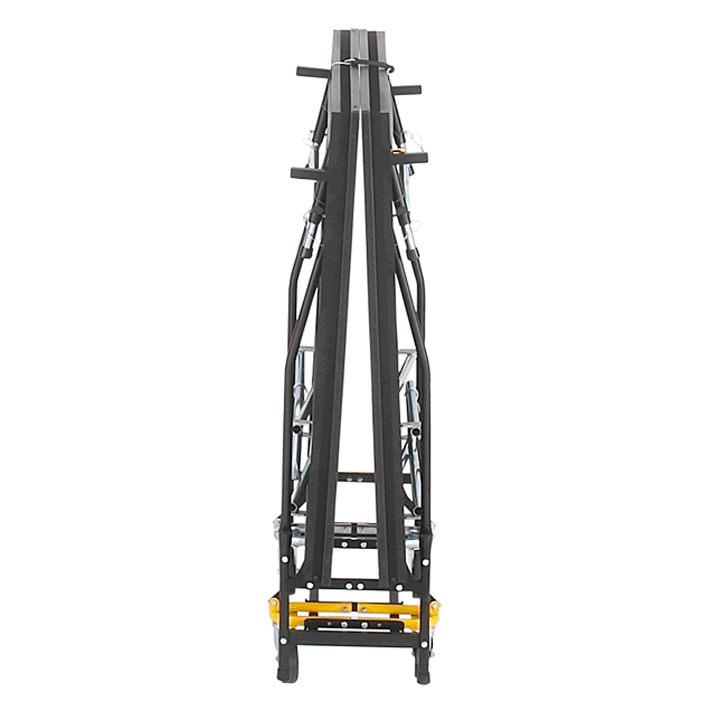 The single-height 1800 model is available in 8" increments from 8" to 32", while the dual-height 1800 model offers height combination options of 16"/24", 24"/32", & 32"/40". 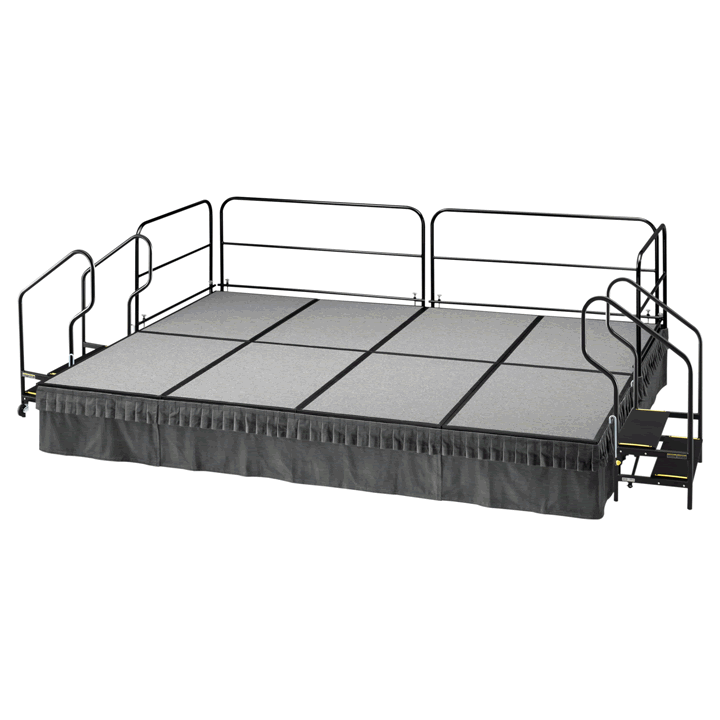 Our sturdy dual-height models are available with 4' x 8' and 6' x 8' deck sizes and our single-height models feature 3' x 8' decks. 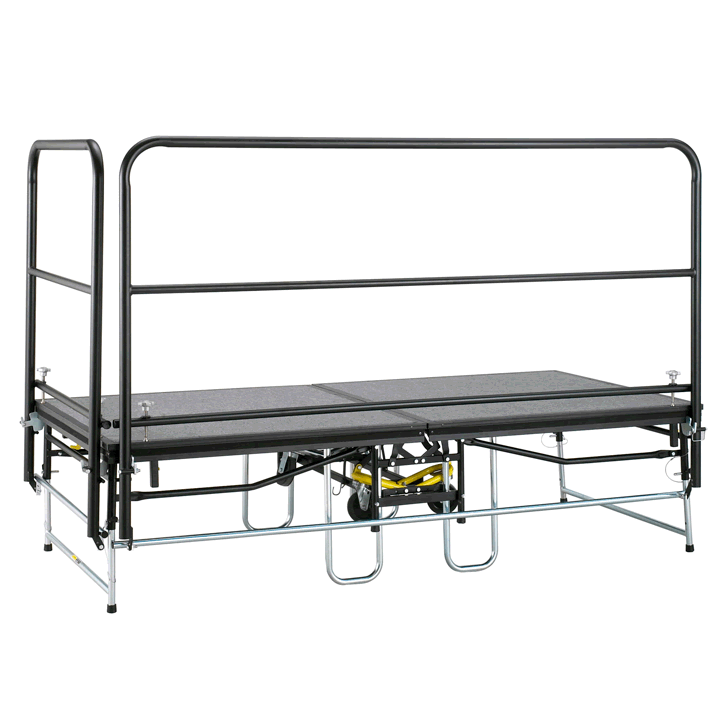 Each stage section rolls freely on its own four built-in wheels, so there are no heavy sections to lift and carry, and no deck or frame trucks to slow you down. 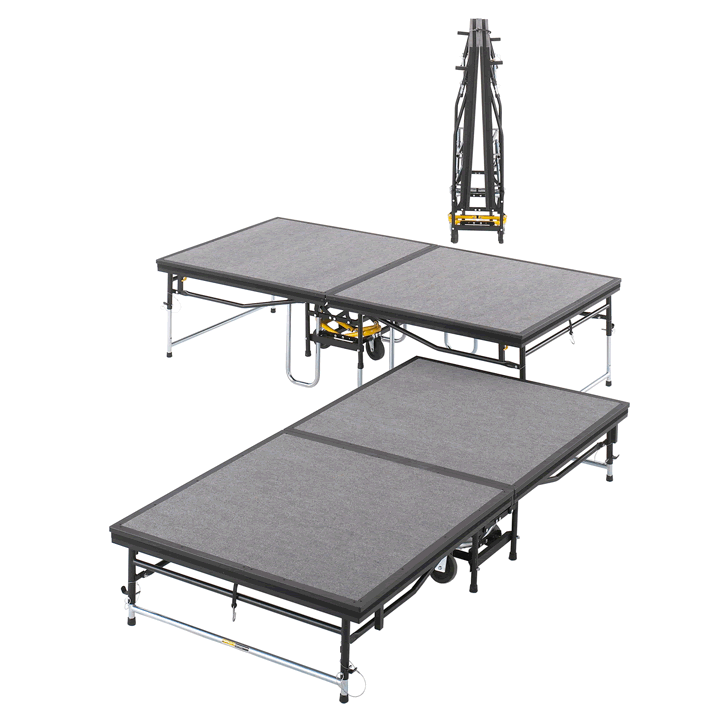 Each section of our mobile 1800 Series Portable Stage is designed to be handled and set up by just one person, creating significant labor and cost savings for you! 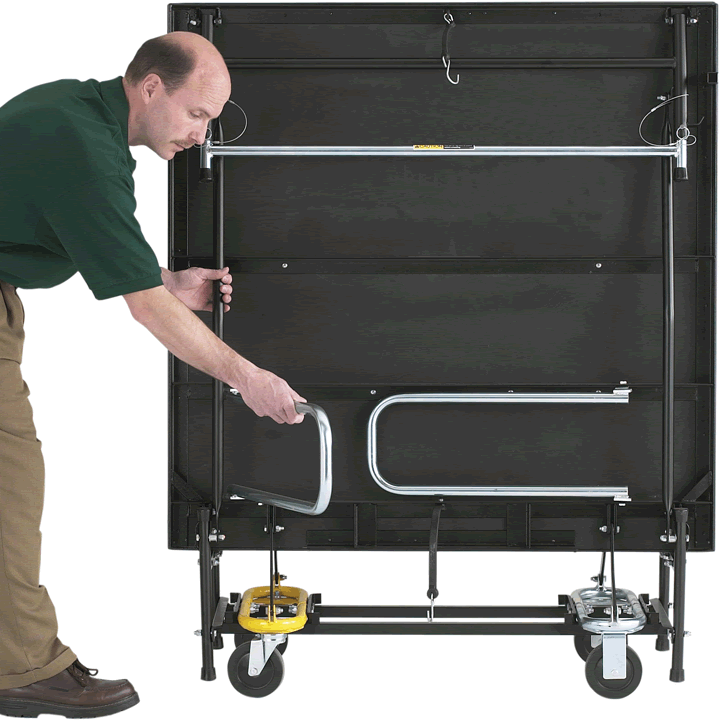 Since each stage unit is self-contained, there is no need for bulky deck or frame storage trucks — a valuable feature that not only saves time and money, but also storage space. 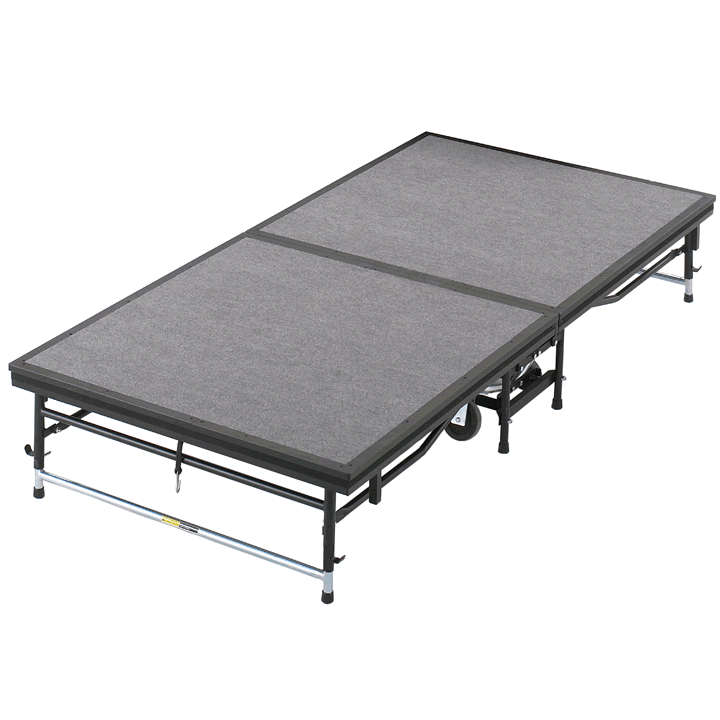 Our larger 6' x 8' stage units yield more square footage, so you purchase fewer units than with the traditional 4' X 8' — sized decks. 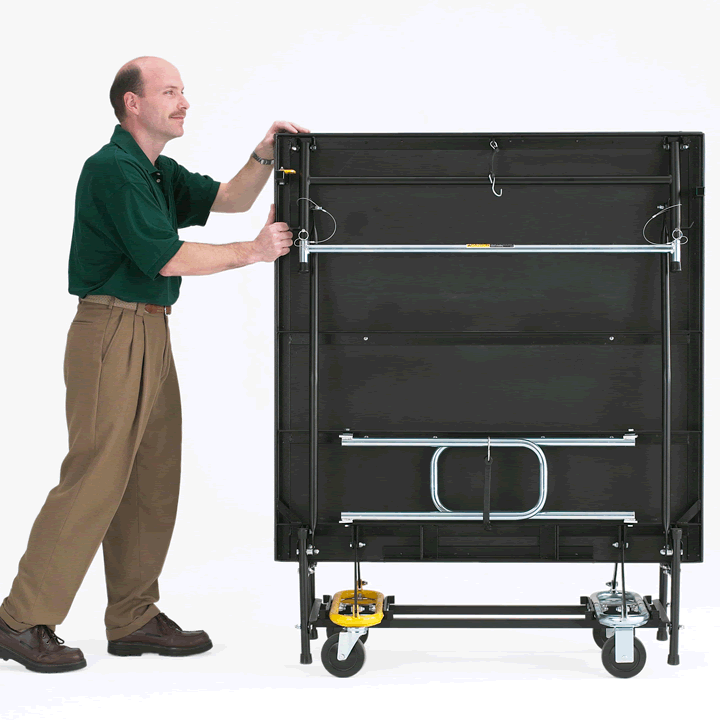 That also means fewer pieces to move and store, making this option your smartest long-term investment and best value. 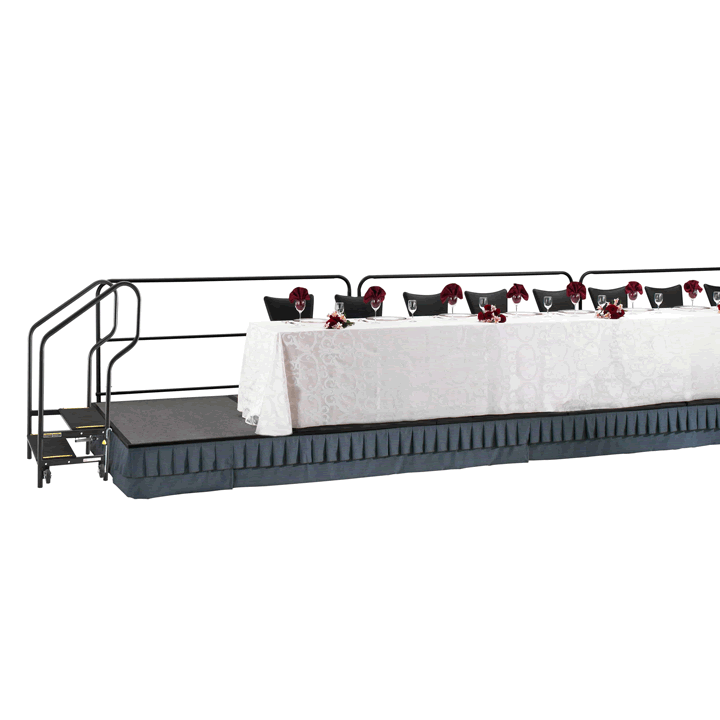 Single Length Drapes come in standard lengths of: 8, 16, 24, 32 and 40 inches. 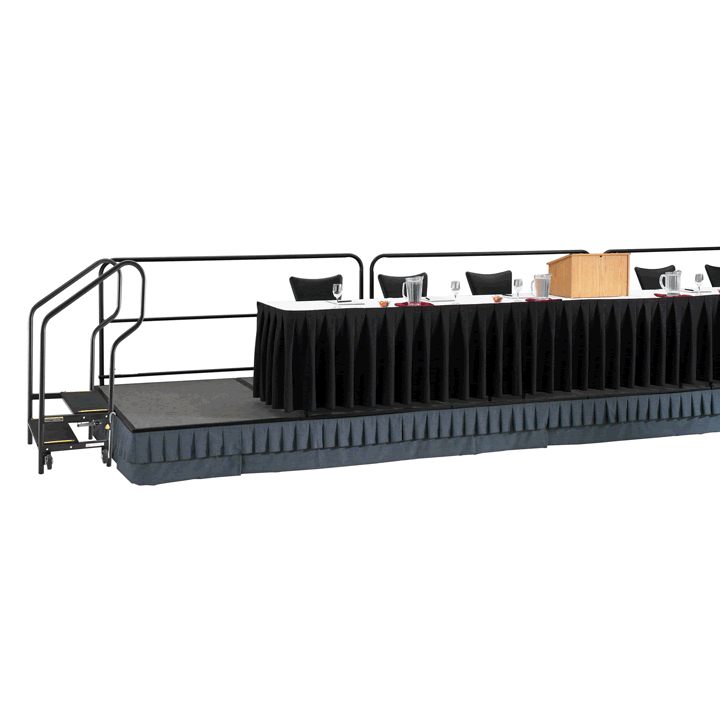 Multi-Length Drapes come in standard lengths of: 16″-24″, 16″-32″, 24″-32″, 24″-32″-40″, 32″-40″, and 32″-40″-48″. 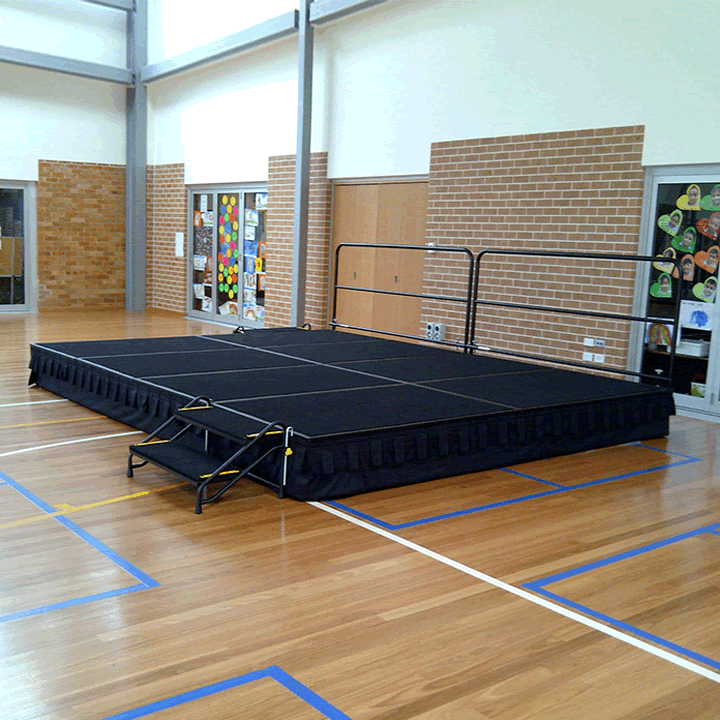 Stage steps allow access to stages from ground level. 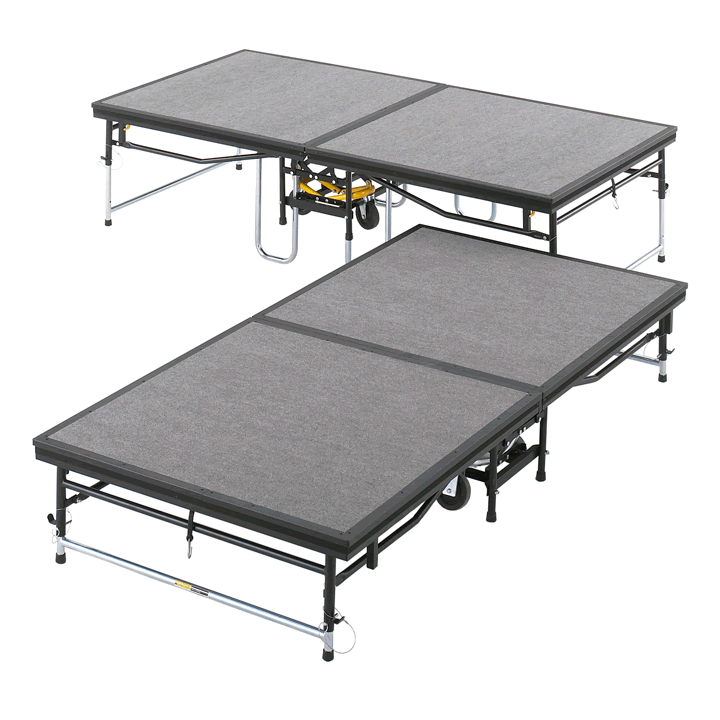 Articulating or modular units available in multiple step configurations. 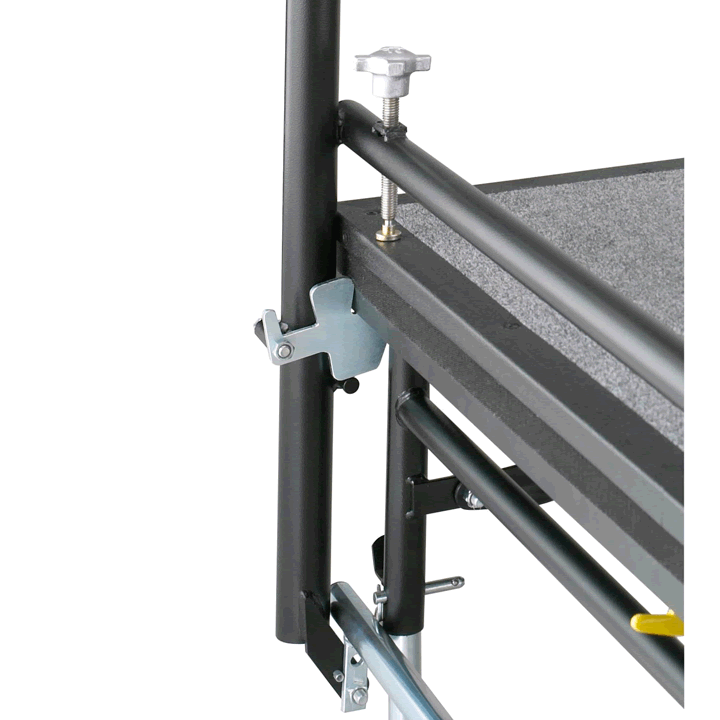 See spec sheets for details. 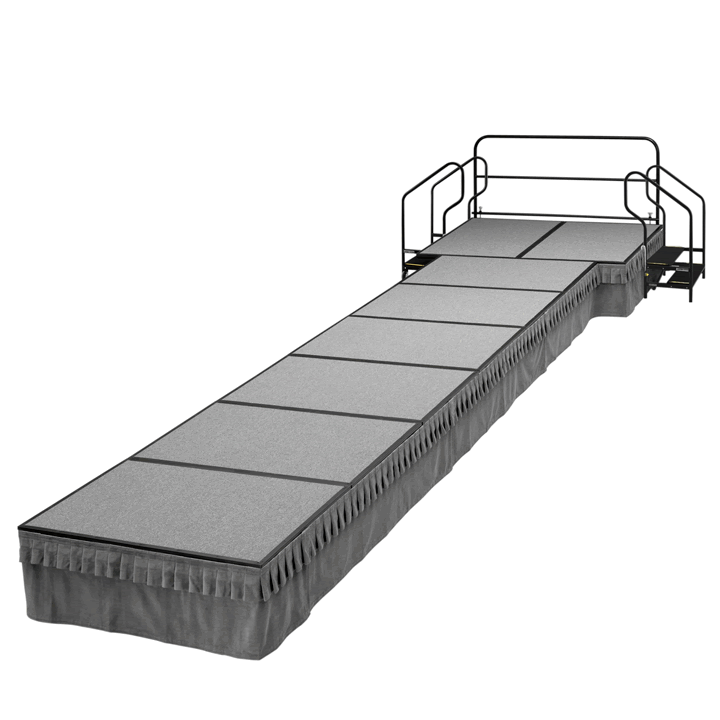 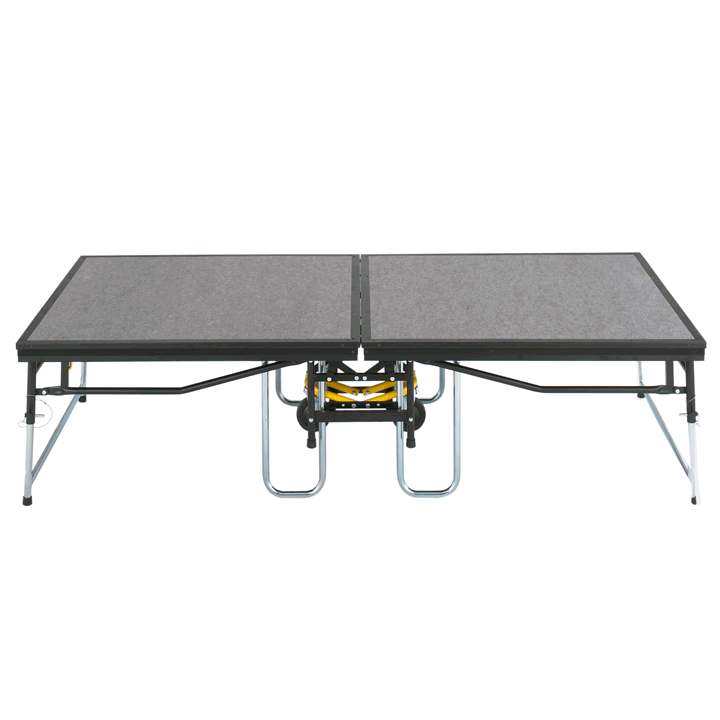 We offer transport caddies for easy mobility with all our portable stages and stage accessories such as draperies, enclosure panels, guardrails, chair/table stops, guardrail covers, and stage ramps.